We’re glad you’re here! From the moment you walk into our office you’ll be greeted by our friendly, knowledgeable staff who take pride in making your dental experience as comfortable as possible. Our focus at PA Oral, Facial & Implant Surgery is YOU! We can’t wait to see you walk away feeling confident with your new look. Botox and dentistry? You bet! While Botox is best known for its cosmetic uses, when administered in smaller doses it also has clinical applications to treat TMJ, teeth grinding (bruxism) and facial pain. Botox can also be used to complement cosmetic dentistry and is a minimally-invasive alternative to surgically treating certain conditions. When you have cosmetic as well as functional dental needs, you want to turn to professionals who listen and respond… experienced doctors who know the field and can effectively diagnose and treat your needs… friendly dentists who counsel you on the best ways to maintain and improve your health. Our dentists meet all these criteria. Plus, you benefit from a dedicated team of trained professionals who give you the individualized attention you deserve. Dr. Rice, Dr. Ali and our entire staff would like to welcome you to our website. As Du Bois oral surgeons and dental implant specialists, our mission is to help you attain healthy gums and oral function. We work closely with your dentist to maintain your teeth for a lifetime. Our doctors do this by using a combination of treatment procedures and educating their patients on numerous methods available for improving their dental hygiene. 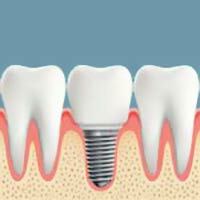 In those situations where an individual tooth cannot be saved, dental implants allow us the ability to replace the tooth naturally- without compromising the adjacent teeth. We invite you to look through our website in order to better understand our talents and the many services that we offer. We encourage you to email or call our Du Bois dental office at any time for answers to your questions about oral surgery or to schedule an appointment with us. We pride ourselves on practicing the art of exceptional oral surgery in an environment that is caring, relaxed and designed with your comfort in mind. Thank you for your time and for visiting our website. We look forward to seeing you! At PA Oral, Facial & Implant Surgery, we believe that informed patients are better prepared to make decisions regarding their health and well being. That is why we’ve included an extensive section on this web site covering the full array of topics associated with enhancing the appearance of your teeth and gums, and restoring proper oral function. We encourage you to look through these pages to discover the benefits of oral and facial surgery and dental implant therapy. Research continues to find connections between oral health and general health. Now, more than ever, the health of your mouth impacts your overall well-being. Our team is committed to working closely with you to achieve and maintain optimum oral health. We pride ourselves on providing gentle, compassionate and comfortable care, and we hope that you’ll find the service you receive at our office to be the best you’ve ever experienced. Although nearly half of Americans have some form of periodontal disease, many are not aware that postponing treatment puts them at a greater risk for a number of serious health issues. Our Periodontal Services not only treat existing gum disease, but also help to prevent gum disease from returning in the future. 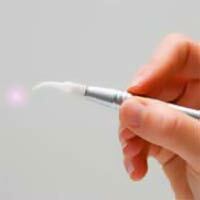 Optimizing your oral health is critical to your overall well-being. Are you searching for the new, beautiful you? PA Oral & Facial Center offers a wide array of facial cosmetic services for a gorgeous, healthy appearance that will turn heads! 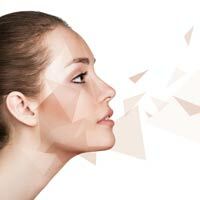 With Botox, Juvederm, Restylane, Facelifts, Facial Resurfacing and more, we’ve got you covered. Our fully-licensed doctors provide gentle treatment in a caring, comfortable, relaxing environment. When you have cosmetic as well as functional dental needs, you want to turn to professionals who listen and respond… experienced doctors who know the field and can effectively diagnose and treat your needs… friendly dentists who counsel you on the best ways to maintain and improve your health. Our dentists meet all these criteria. Plus, you benefit from a caring, dedicated team of trained professionals who give you the individualized attention that you and your family deserve. The best care in the world doesn’t mean anything if you can’t access it. At PA Oral, Facial & Implant Surgery, LLC, we strive to make our Du Bois dental office as efficient and convenient as possible. Included in these web pages is information about PA Oral, Facial & Implant Surgery, LLC, including maps and directions to our locations. Our dedicated team of benefits specialists can walk you through what can be a confusing process. We’re eager to help! Many of our patients come to us after they have experienced some dental trauma or pain. 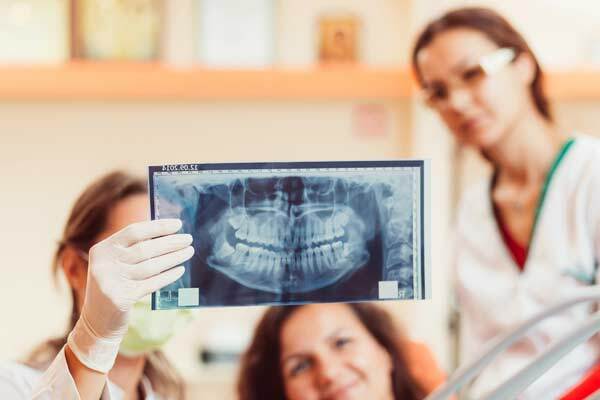 Whether you are looking for a periodontist or an implant dentist in Du Bois, Pennsylvania, we offer all of the treatment that you may need in order to restore good oral health. You can rest assured that your comfort and health are our top priority. We promise to always offer you relaxed, comfortable care so that you can get the treatment you need for a healthy smile without the worry and fear. Have questions or comments for us? Let us know. We’d love to hear from you!